Well the long-awaited visit with my mom for Christmas and New Years had finally come. It had been 6 months since we saw her and couldn’t be more excited! Abe and I flew into Santiago from Lima on December 19th. Our reciprocity fee of $160 had already been paid when we were there back in October, so we went straight through immigration, customs and discovered that you could get a cheaper taxi if you took the elevator up to arrivals and negotiated directly with one dropping others off. 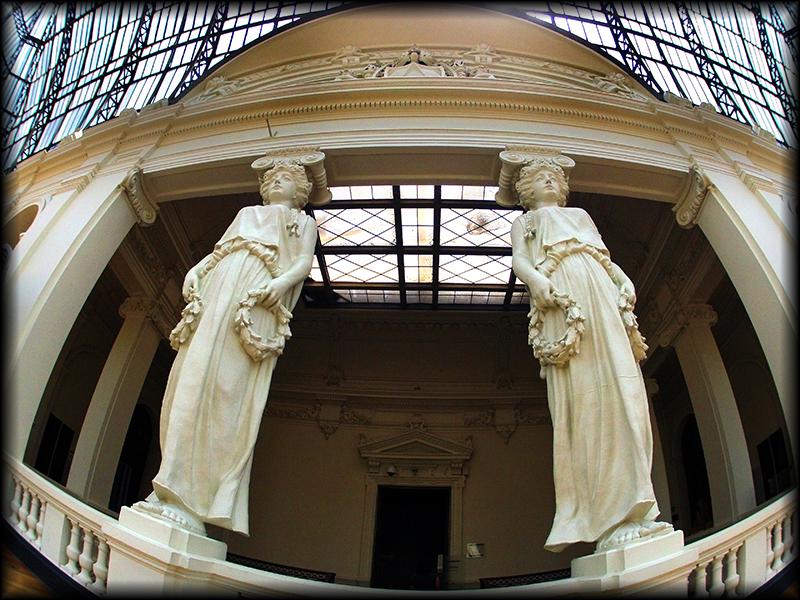 We checked into our accommodation for the next 5 nights, the ‘Andes Apartments’ in the Bella Artes barrio. It was a bit tricky since the apartments were actually on a different street than the reception, which was located at the ‘Andes Hostel’ one block over. Abe left me with all the luggage as he ran through the streets in the pouring rain in search of a key. 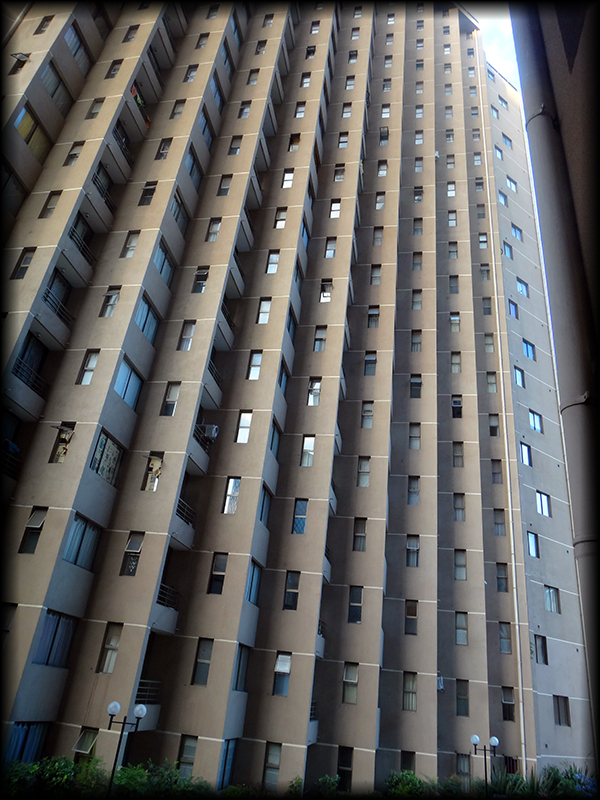 We checked into our unit on the 3rd floor of this high-rise complex. It was nice, modern and consisted of a kitchen, small living room, bedroom and bath. Mom was supposed to arrive early the next morning, so we kicked our feet up and caught up on some needed rest from our Machu Picchu hike and multiple days of travel. Sadly, the second leg of mom’s flight was cancelled sticking her in Miami for the night. So Abe and I explored the neighborhood and bought groceries for her arrival that night. When we went back to the apartment after the store and tapped on the light switch, all the circuits blew. So the very flustered reception guy said we had to move to an apartment on the 8th floor and then change again the next day to one on the 6th floor. Luckily, there was an elevator, so moving from floor to floor was easier than some of the places we’ve stayed. However, all the apartments were identical, so it was beyond us why we had to change again, but so be it. We left a note for mom on the 3rd floor door and hoped she would find us. And then there was the best knock we’ve ever heard! She had arrived!! 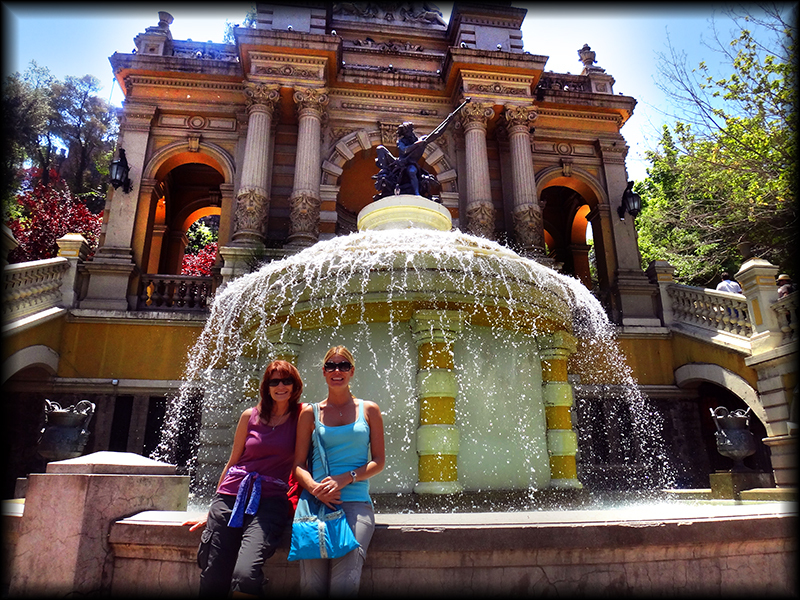 We all spent the next few days and nights exploring Bella Artes, Bella Vista, and the Providencia barrios. We walked up to the top of Cerro Lucia overlooking the city, visited the Bella Artes Museum, took a nap in the park across the street, checked out Mercado Central, which was full of seafood, restaurants, and flirty locals. We enjoyed Micheladas in Plaza de Armas, mojitos at one of the many outdoor restaurant/bars, ‘Sur Patagonico’ and dinner at ‘Les Assassins’, a small yet tasty French restaurant in Barrio Lastarria. We lived, as I assume the rest of you made it through the ‘End of the World’ on December 21st, 2012. 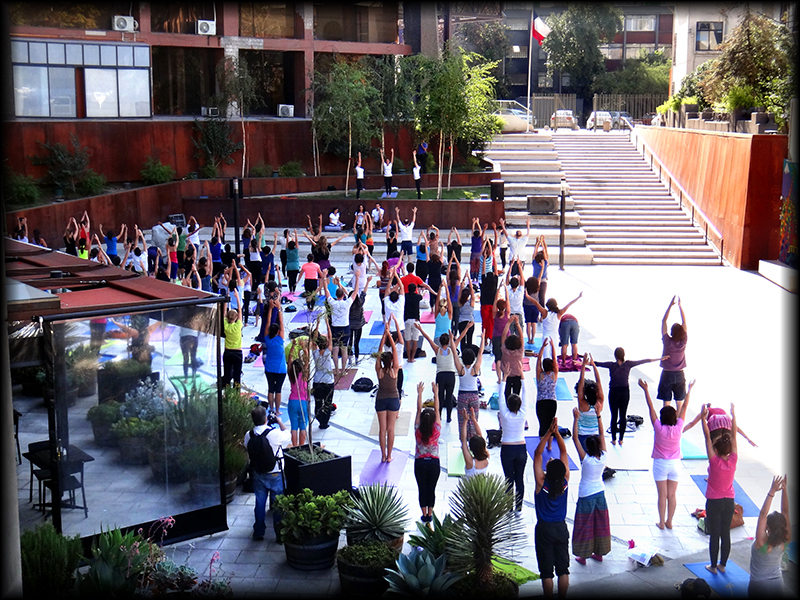 We celebrated the day by visiting the Museo de Arte Contemporaneo, where yogis and non- yogis came together for 121 Sun Salutations in the courtyard. My mom and I participated in the first 20 (well, I only did 10). It’s not as fun without ‘warrior’ positions added in too. 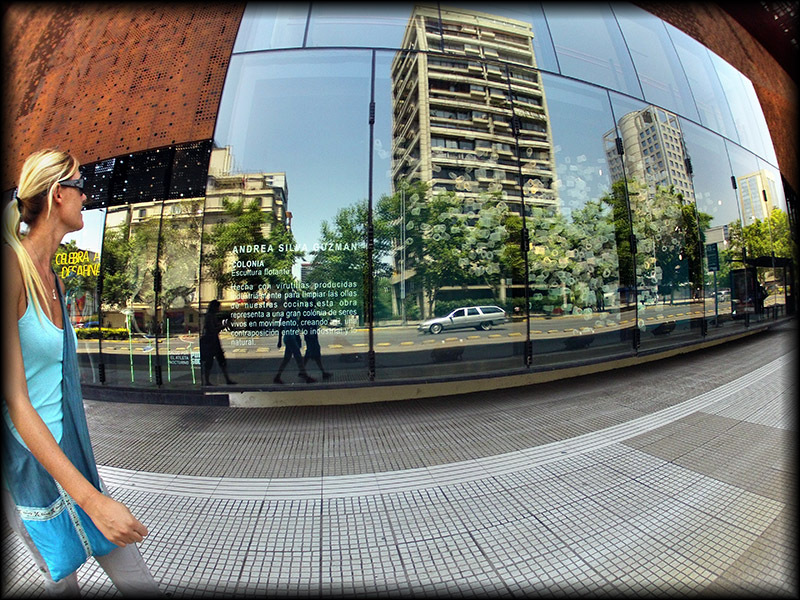 We also admired the young want-to-be dancers practicing there moves in the reflection of the museums’ windows while smoking cigarettes at the same time. Impressive to say the least. 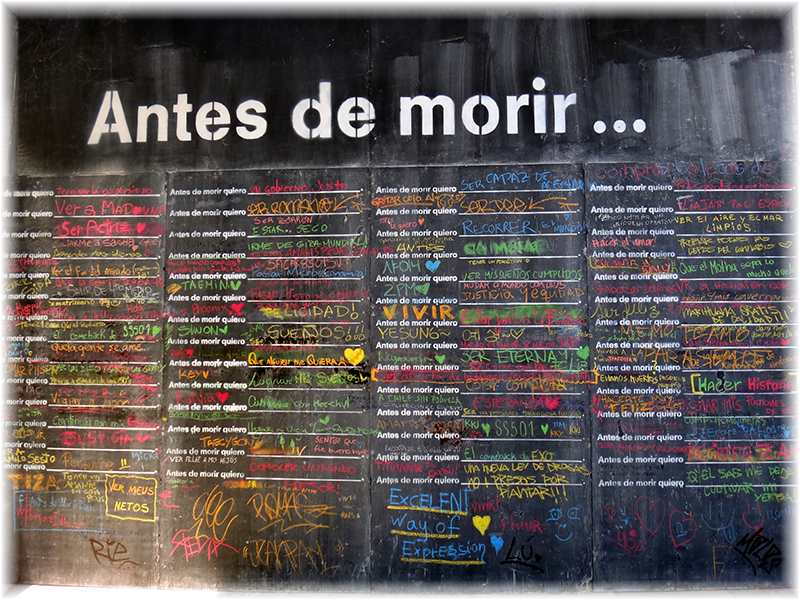 The museum also boasted a chalk wall that was titled, ‘Antes de Morir’. People from all over added their two cents of what they would do or would like to see done before they die. How about you? Have you started living out your list? Lucky for us, this honeymoon was on the top of ours! Other than that, all of us caught up on our sleep and Abe cooked us delicious eggs, avocado and toast every morning for breakfast and a few healthy dinners as well. The only real blip was our attempt to have a drink on the top of The W Hotel in the Providencia barrio. Both friends and Lonely Planet boasted about this little treat. However, the taxi we took there had a rigged meter and charged us $20 to go 7 kilometers. We got in a big fight with the driver, but still paid him in our flustered state. And to add insult to injury, The W Hotel no longer offers rooftop drinks. We took one look around and only saw touristy chain-like restaurants and bars. 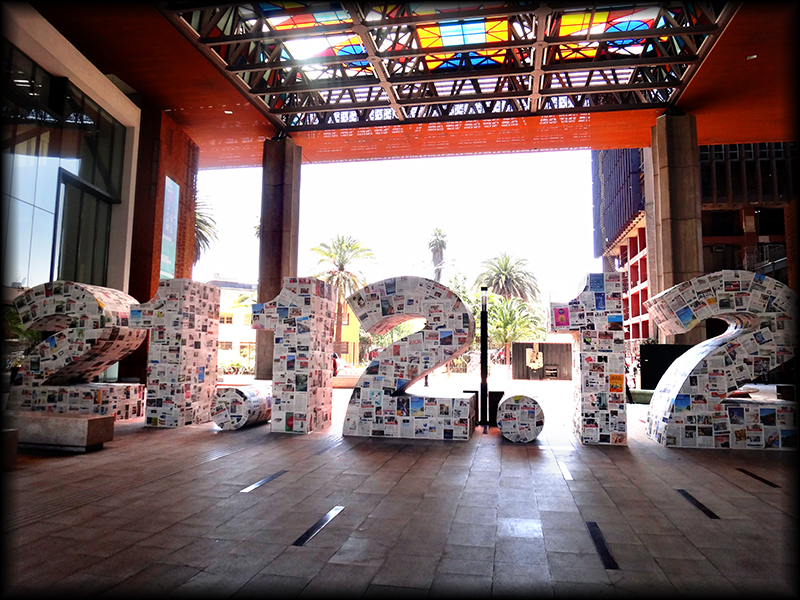 After walking through the charming barrios of Lastarria and Bella Artes, we wanted nothing to do Providencia. 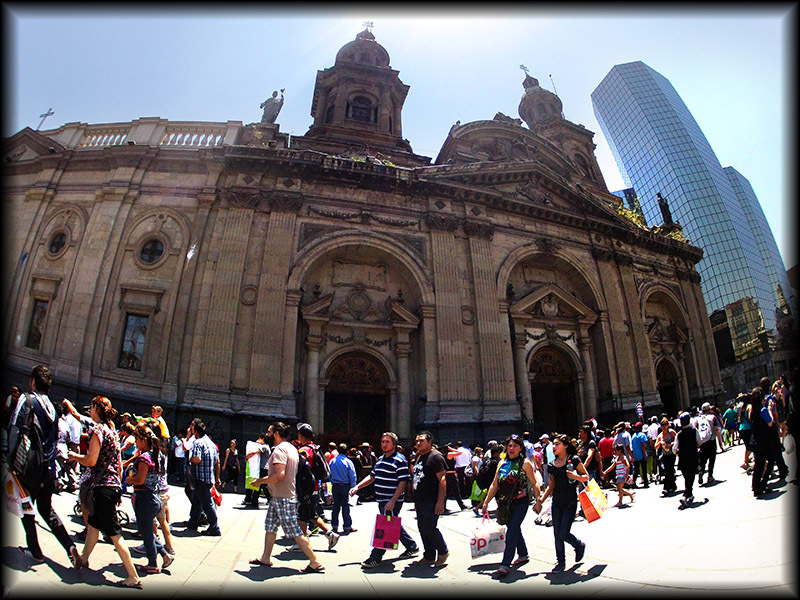 So we found the nearest tram station and back we went to Bella Artes for $4. After we left Santiago, we discovered that the rooftop of the Andes Apartments actually has an incredible view of the city. We should have just taken a bottle of wine up there! Another TLL, travel lesson learned. Next stop Wine Country! 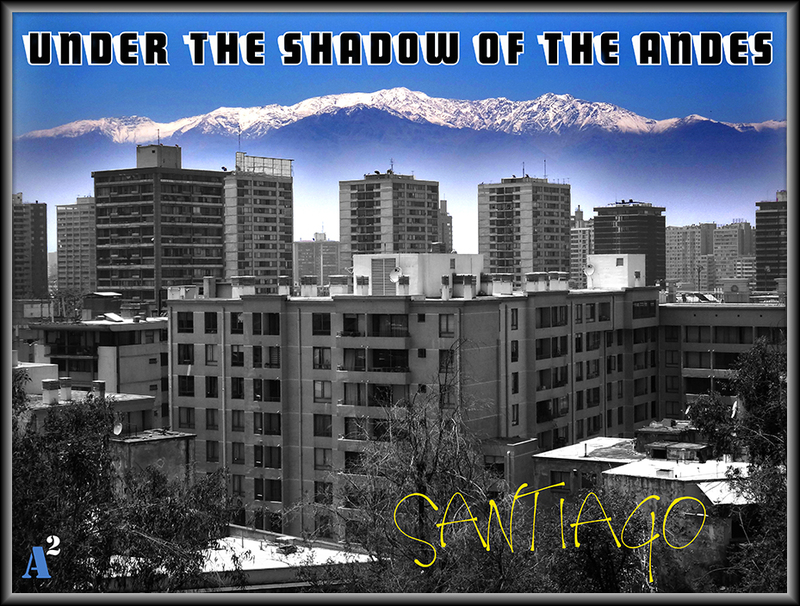 3 Responses to "Santiago Chile"
nice – wished I was there too! wish you were too! Also wish we had met up in Mexico, guess we’ll have to do it next year? You described it perfectly! What about that one-man-band dancing down the street as we drank those yummy Mojitos! That was fun. Miss you guys.